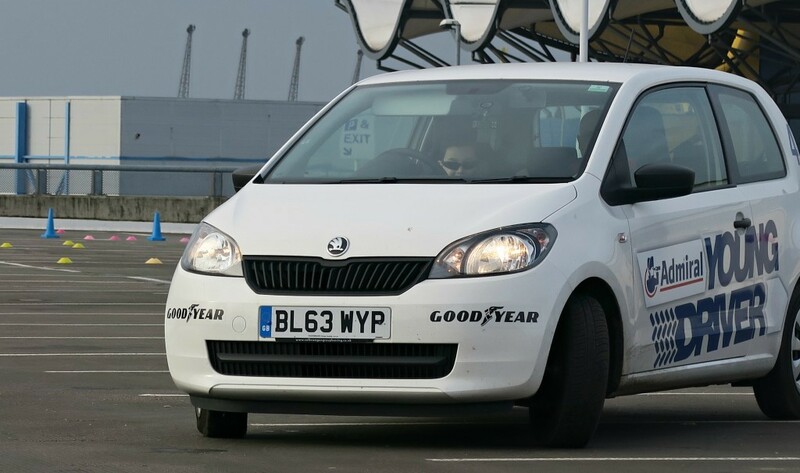 Can you remember the first time you got in a car to learn to drive? You were probably 17+ and feeling very nervous! I remember being sat in the learner car, in a residential road with shaky legs sweaty palms, then being told to drive forward until we got to the junction….WHAT?! There are other cars on the road that know what they are doing, I don’t have a clue! So when Tyler got the chance to drive a car at the age 11 years old, I was keen to find out how it would go for him! 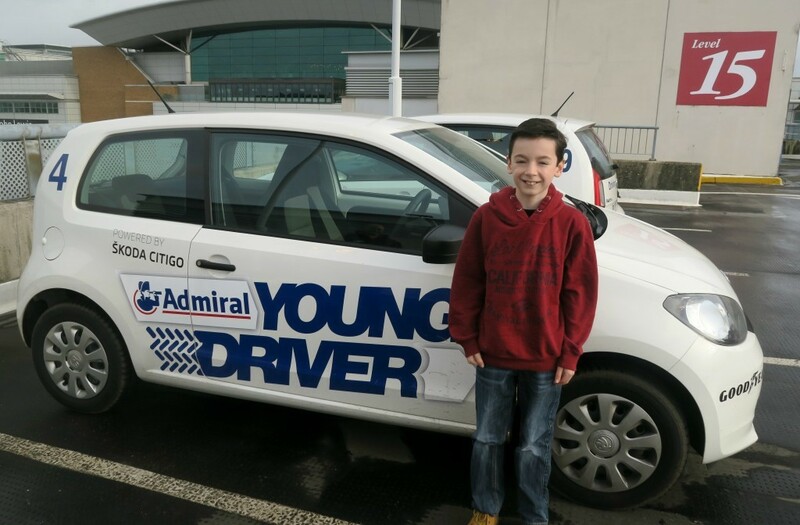 Don’t worry he wasn’t on the road, Young Driver offer driving lessons for children aged 11-16 year olds. They currently have 43 venues across the UK. 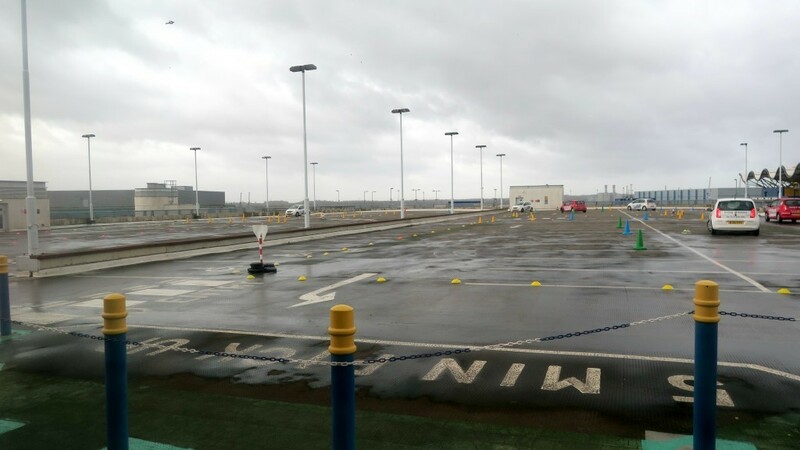 We visited the Southampton venue which is situated on the top of a multi story car park, level 15 to be precise! When we arrived they lady explained to Tyler what would happen and who he would have his Young Driver lesson with. He was handed a little booklet which he has to keep to be able to keep track of his progress and the lessons he completed. Today he would be starting level one, which included things like adjusting the seat, pre-drive checks, making it go, learning to stop, steering and adjusting speed. Tyler was really nervous but also really excited, he didn’t know any of his friends who had done this so felt very lucky to be having a go at this. 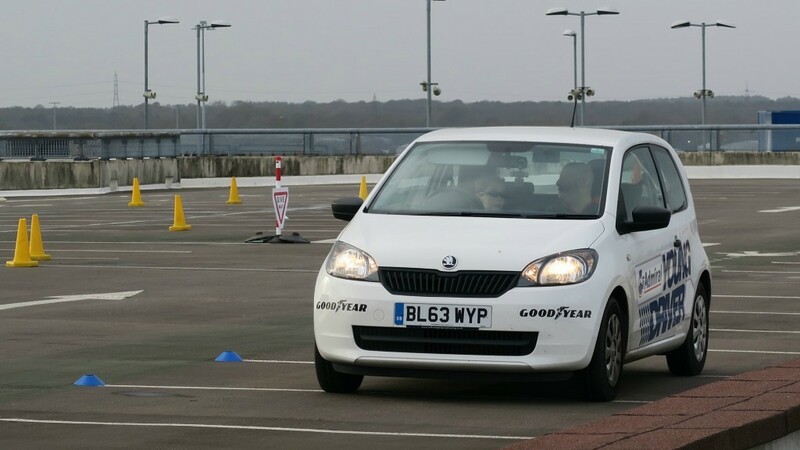 Young Driving use a little skoda citigo to teach the children in, Tyler is quite a small 11 year old but he was still able to be able to reach the pedals and see over the steering wheel. However he did have a little help at being boosted up and bringing the seat forward. The instructor was even very kind to give him some sunglasses to wear as Tyler hates the sun in his eyes, so they had thought of everything. I was asked if I wanted to sit in the back with Tyler but I felt it would be better for him to be left as then he wouldn’t be thinking/worrying about me in the background. Also good for his independence and confidence. They do have a spectators area for you to stand and wait for them. This was slightly sheltered but as we were on the top of a multi storey card park it was very windy and pretty cold! So if you are visiting Southampton venue, wrap up warm! I have created a video for you to show how Tyler got on, but he loved it! He really enjoyed every part of it, and he did a lot more than I thought he would. Tyler had a 30 minute Young Driver lesson which I thought would have been plenty for him, I though his feet would hurt and the concentration would be too much for him to have a 60 minute lesson. However he said 30 minutes wasn’t enough! He would have happily carried on and said it felt like it was only 10 minutes. 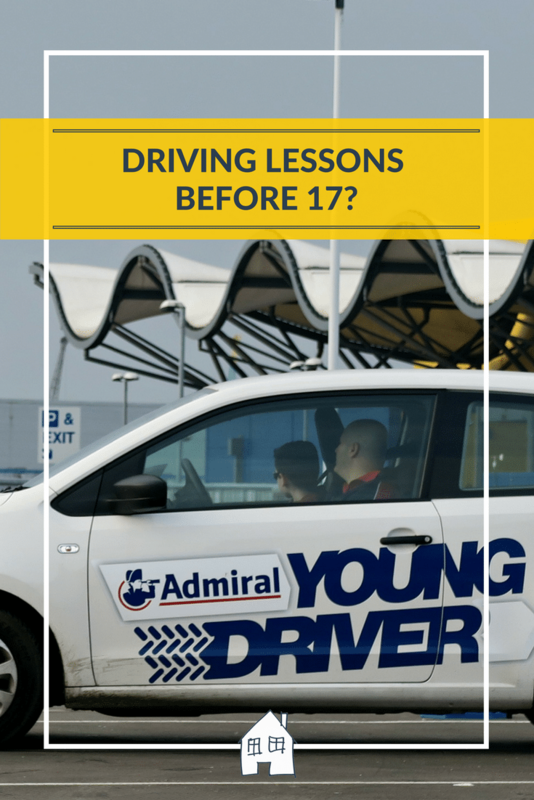 I love the theory behind Young Driver lessons, they feel that if they give children the opportunity to practise driving a car in a safe environment, they can learn the skills needed before they go out onto a real road. I am going to try to give my son more opportunities to have more lessons before he becomes 17. I think it would give him so much more experience before he got out on the road and has to deal with all the other drivers too. As you can see from the course, there are different routes laid out, hills, signs and parking zones. Tyler got the chance to pull away, drive around a few different routes and then reversed parked at the end. I was really proud of him! Priced at £34.95 for 30 minutes and £64.95 for 60 minutes, it is quite pricey so for us it isn’t something that would be a regular thing but it would be good for a present or when he gets old enough for a part-time job he could buy some himself. 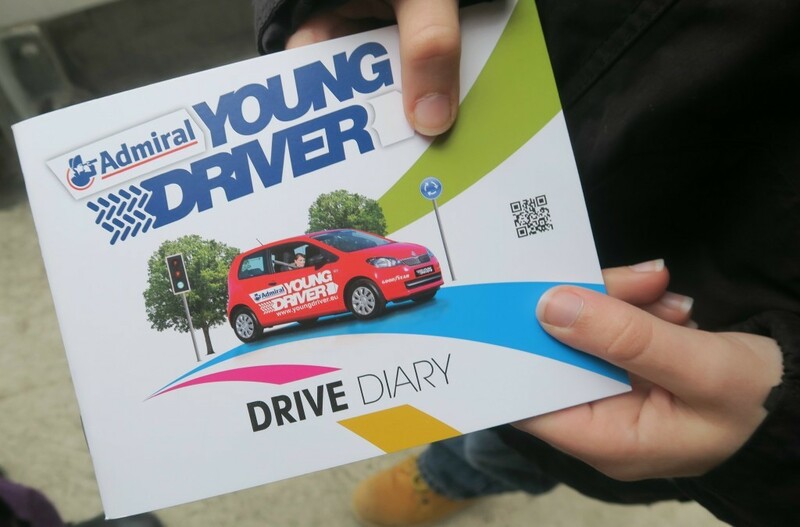 Young Driver offer gift vouchers so you can easily purchase them as gifts for people. At the Southampton venue they do not offer lessons every weekend, and they do get booked up in advance. They also offer parties, I think this would be a very fun birthday party! Take a few friends along and give them a party to remember! *We were given a 30 minute lesson for the purpose of this review, however all words are honest and of my own. This is a really interesting idea and I think like you say it would go some way towards preventing more accidents! I’d be having mini heart attacks with it being on top of a multi-storey though! This is a really interesting concept. I had never been behind the wheel until my first driving lesson so this would have been good to do a few before hand. I hate the idea of it being on a multi storey carpark!! How dangerous and life threatening. Eeeeep! I wish I’d had a little go between those ages too.